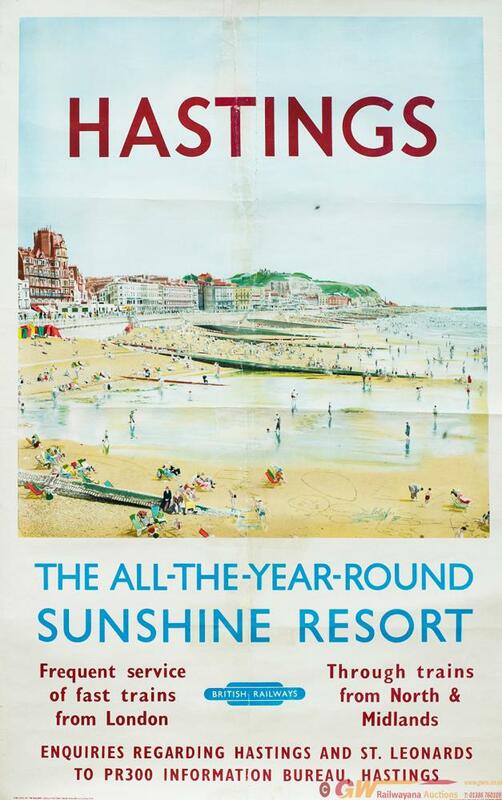 Poster BR HASTINGS THE ALL YEAR ROUND SUNSHINE RESORT by Colourfex. Double Royal 25in x 40in. Published by the Southern Region in 1962 and printed by The Baynard Press. The poster has been mounted on rice paper to conserve central fold mark and old tape staining. This poster was recorded in the records but so far this one is the only known survivor a real poster rarity.